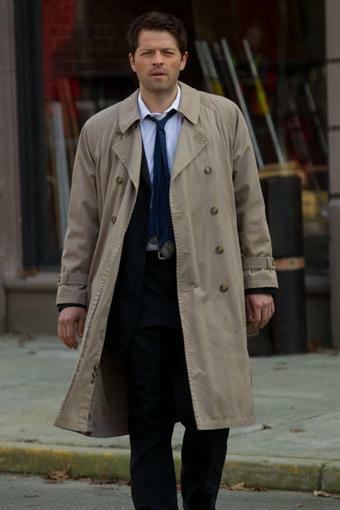 Castiel is an Angel inhabiting a human body - specifically, that of devoted Christian and family man Jimmy Novak. Castiel often says one of his biggest regrets is what happened to Jimmy Novak, and everything he endured while Castiel inhabited his body. Castiel is obliterated. 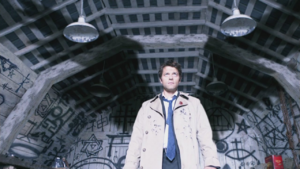 And though Castiel is brought back (Thank Chuck.... literally) as Castiel 2.0, the Seraph, Jimmy Novak died and went to his personal heaven. (Supernatural's depiction of heaven is another blog post, BTW). So you have a socially awkward figure who has literally spent millennia observing humanity and loving them from a distance. The body he inhabits is not his natural form, and on the occasions when he does lose his Angel Mojo and become human, he struggles greatly with the daily necessities of being human. Even when he is human he still gives a very strong impression of feeling... apart.... from humanity. Like the suit he's wearing just doesn't fit quite right. Inside I'm absolutely crying buckets.